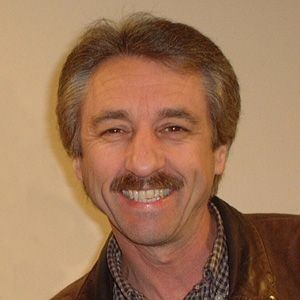 I admire Ray Comfort's faithful stand for what he believes and he seems like a really great person to know as a friend; but unfortunately, he is very wrong on the matter of salvation. Mr. Comfort is a skilled street preacher. Sincerely, I love the man's zeal, but either a person has to stop wild sinful living to be saved or they don't. These are two very different plans of salvation. One requires human effort, which is what Ray Comfort teaches. The other rests 100% completely on Christ's sacrifice upon the cross, which is what the Bible teaches. What you've just read is a satanic plan of salvation, which cannot produce the new birth in Christ. It will produce religion, but religion cannot get anyone to Heaven. When Jesus spoke of “repentance” concerning salvation, he always meant “a change of mind.” Unfortunately, the English word “repent” is defined very differently as “turning from sins, to feel remorse.” Biblical repentance is changing your mind from what you want to do to get to Heaven to doing what God says you must do. Does a person really have to let go of their beloved sins to be saved? If they do, that is human effort. Can anyone let go of all their sins? Is that possible? No, it is not. Even the best of Christians are still sinners (Romans 7:14-25). You cannot show me even one Bible verse that says to “TURN FROM SIN” to be saved. Romans 3:19 teaches that the purpose of the Old Testament law is to show men their sinfulness, so that the world may become guilty before God, realizing their need for the Savior, which is Christ Jesus the Lord (Galatians 3:24-26). Note: All Scripture quotations and references are only from the trustworthy King James Bible (KJB). If belief is all that is necessary for salvation, then the logical conclusion is that one need never repent. However, the Bible tells us that a false convert "believes" and yet is not saved (Luke 8:13); he remains a "worker of iniquity." Look at the warning of Scripture: "If we say that we have fellowship with him, and walk in darkness, we lie, and do not the truth" (1 John 1:6). The Scriptures also say, "He that covers his sins shall not prosper, but whoso confesses and forsakes them [repentance] shall have mercy" (Proverbs 28:13). Jesus said that there was joy in heaven over one sinner who "repents" (Luke 15:10). If there is no repentance, there is no joy because there is no salvation. "They on the rock are they, which, when they hear, receive the word with joy; and these have no root, which for a while believe, and in time of temptation fall away." Luke 8:12 — "Those by the way side are they that hear; then cometh the devil, and taketh away the word out of their hearts, lest they should believe and be saved." Luke 8:13 — "They on the rock are they, which, when they hear, receive the word with joy; and these have no root, which for a while believe, and in time of temptation fall away." Luke 8:14 — "And that which fell among thorns are they, which, when they have heard, go forth, and are choked with cares and riches and pleasures of this life, and bring no fruit to perfection." Luke 8:15 — "But that on the good ground are they, which in an honest and good heart, having heard the word, keep it, and bring forth fruit with patience." We see FOUR distinct groups here. The first group clearly did not get saved, because the Bible states it. "But he that received the seed into stony places, the same is he that heareth the word, and anon with joy receiveth it; Yet hath he not root in himself, but dureth for a while: for when tribulation or persecution ariseth because of the word, by and by he is offended. "Nevertheless among the chief rulers also MANY BELIEVED ON HIM; but because of the Pharisees they DID NOT CONFESS HIM, lest they should be put out of the synagogue: For they loved the praise of men more than the praise of God." Ray Comfort is wrong! For someone to receive the Gospel is saved!!! There are many believers today, most in fact, who cower in their churches. They would never protest on a street corner against abortion, would never go door-to-door confrontational soulwinning, et cetera. The Bible clearly states that the people in Luke 8:12 didn't get “saved,” and even uses the term. In sharp contrast, the people in Luke 8:13 wanted to be saved, and were saved; but they were not strong enough in the Lord to deal with persecution. Every one of Jesus' disciples abandoned Him when he was arrested, and was tried as a criminal, and sentenced to death on a cross. They fell away in a time of temptation (i.e., hardship); but they didn't lose their salvation, nor does it mean that they had only believed without repenting. Ray Comfort is teaching heresy! The folks in Luke 8:13 were saved, and so were the people in Luke 8:14. The Bible says they were “choked with cares and riches and pleasures of this life.” This again describes most believers today. The average believer today is more concerned about making money, upgrading their cellphone and having a good time. They are not honoring God with their life or resources. If anything, they give God a little pocket-change and some spare time. The believers described in verses 13 and 14 never make an attempt to win a soul to Jesus Christ. In striking contrast, the believers in Luke 8:15 are soulwinners, who faithfully and patiently preach the Gospel. Sadly, Mr. Comfort and his sidekick, Kirk Cameron, are doctrinally corrupted and confused; likely because they are followers of heretic John MacArthur (evidenced by Kirk Cameron promoting the John MacArthur Study Bible on his website). They are WRONG to teach that repentance unto salvation means ceasing from sin. They are also wrong to teach that repentance is a completely separate act from believing upon the Lord to be saved. These are 2 deadly heresies concerning salvation. THE TRUTH is that you simply turn to the Lord by faith in Christ's sacrifice on the cross to be forgiven of your sins. The very moment that you receive the Gospel as full-payment for your sins, you are saved immediately, completely and eternally. It's that simple. We are the SINNER and Jesus is the SAVIOR! Salvation is not doing your best, it is having Christ's best put to your account through receiving Him by faith. If belief is all that is necessary for salvation, then the logical conclusion is that one need never repent. However, the Bible tells us that a false convert "believes" and yet is not saved (Luke 8:13); he remains a "worker of iniquity." Whereas Ray Comfort attempts to separate repentance from belief; Brother Rice correctly recognizes them as ONE AND THE SAME. A man who turns toward God in faith to be forgiven of his sins has repented! A man who has repented of his sins is one who has come as a guilty sinner to the cross of Christ for salvation. This is the simplicity of salvation. Ray Comfort, as heretic John MacArthur, makes salvation hard. Do you see the night-and-day difference between turning from sin that genuine repentance brings; verses the turning from sin that false prophets like Ray Comfort and John MacArthur require for people to get saved? We turn to Christ to be saved from our sins; we don't turn from our sins in order to turn to Christ. I believe Mr. Comfort is sincere. Nevertheless, he is teaching damnable heresy and must be exposed for doing so, because he is influencing millions of people for Satan. Many people today think they can't be saved unless they are willing to turn over a new leaf and stop committing sin. I have news for you, Ray Comfort commits sin every day, just like you, me and everyone else. Salvation is receiving, NOT giving. Eternal life is a free gift from God (Romans 5:15;6:23; Ephesians 2:8,9), paid for by Jesus' precious, literal, liquid, blood (1st Peter 1:18,19; Hebrews 9:12; Revelation 1:5). The problem is that preachers oftentimes confuse the FRUIT of a believer's faith (James 2:18-21) with the ROOT of a believer's faith (Romans 4:3-5). The change is the FRUIT of the Spirit, the result, of repentance; not repentance itself. A changed life is the FRUIT of genuine repentance, and not a part of the ROOT of saving-faith; but you cannot mandate the FRUIT for salvation, otherwise you're corrupting the gift of God into a qualifying process. The only evidence of salvation is the presence of the Holy Spirit. All of the satanic religious cults (like Seventh Day Adventism) teach doing good works and ceasing from bad works, but they are not saved. They don't have the Holy Spirit. They cannot understand the Scriptures (1st Corinthians 2:14). Anyone who acknowledges their guilty condition in God's eyes (being condemned under God's Holy Law—Romans 3:19), believing on Jesus as the Christ Who died for our sins on the cross and raised up three days later is saved (John 3:16). Acts 10:43 plainly states: “To him give all the prophets witness, that through his name whosoever believeth in him shall receive remission of sins.” That is the simplicity of the salvation that is in Christ. Ray Comfort's Perverted Gospel | Hell's Best Kept Secret | The Unbiblical REPENTANCE Heresy!